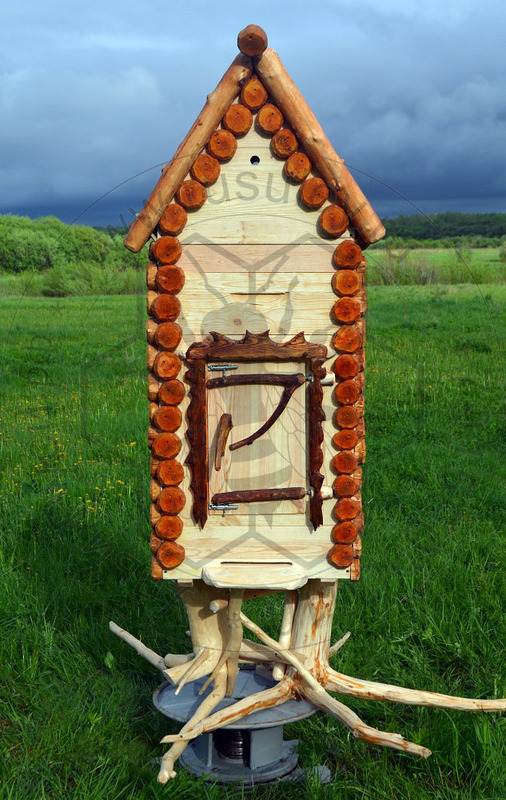 Exclusive Hive based on Russian folk tales. Beehive for without frames beekeeping and body for 12 frames 435x145. gabled roof with galvanised steel, decorated with netting from alder bark. Hive made of dry softwood. wall thickness of 35 mm, in the walls of the board spliced in width tongue and groove, angular matching with double quarter. Author of idea "Kombi" is Kodes Nikolai. Hive made according patent №114586, all rights reserved.